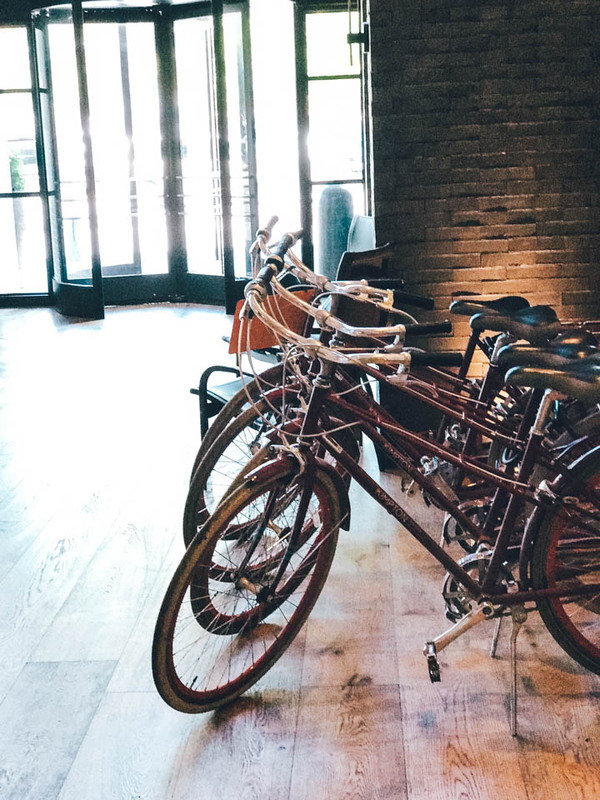 We love seeing our hotel and restaurant through your lens. 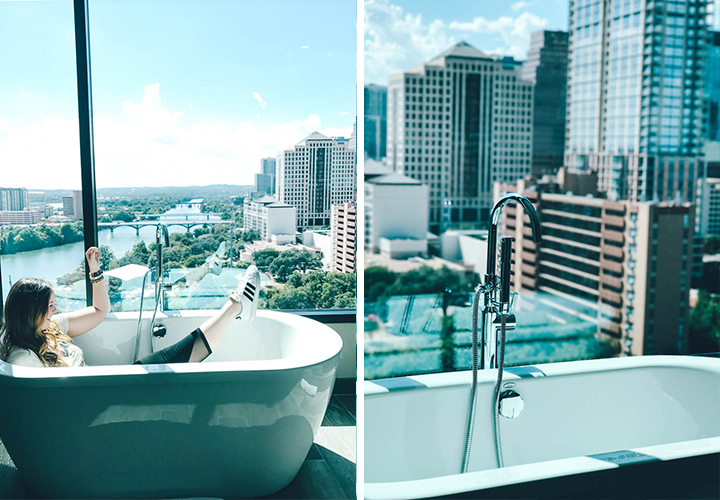 Your epic pool sunset shots, your close-ups of our mosaic floor, and your pup taking-in the downtown skyline, all provide uplifting views that have us cheering from the sidelines. Keep sharing so we can keep relishing. We were upgraded to the king spa suite which was MIRACULOUS. Check out our room, the pictures speak for themselves. Yup, you read that right! When you check in they give you a beer on the house. THEN, every day (yup, weekends included) they have free beer, wine and margaritas from 5pm-6pm! How happy of an hour is that? 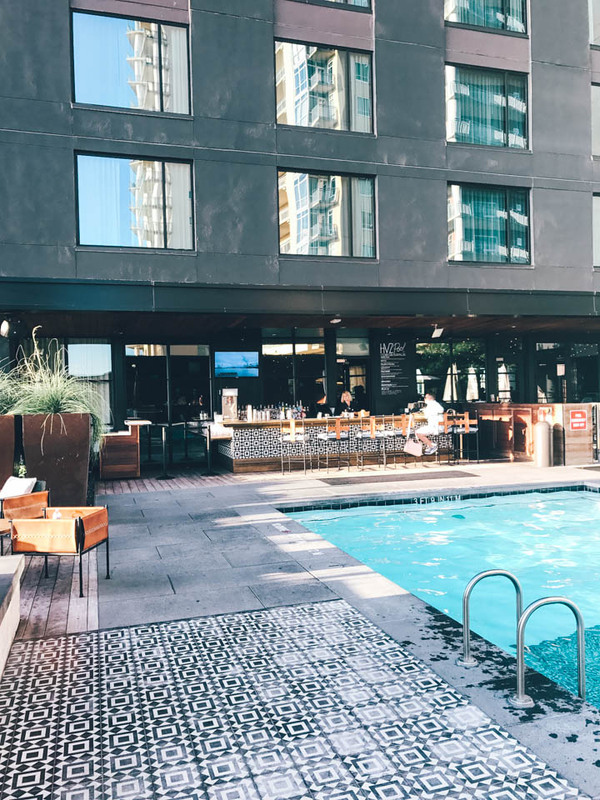 A pool is absolutely essential in Austin, and theirs is the bees knees. Plus, pool drinks y'all. 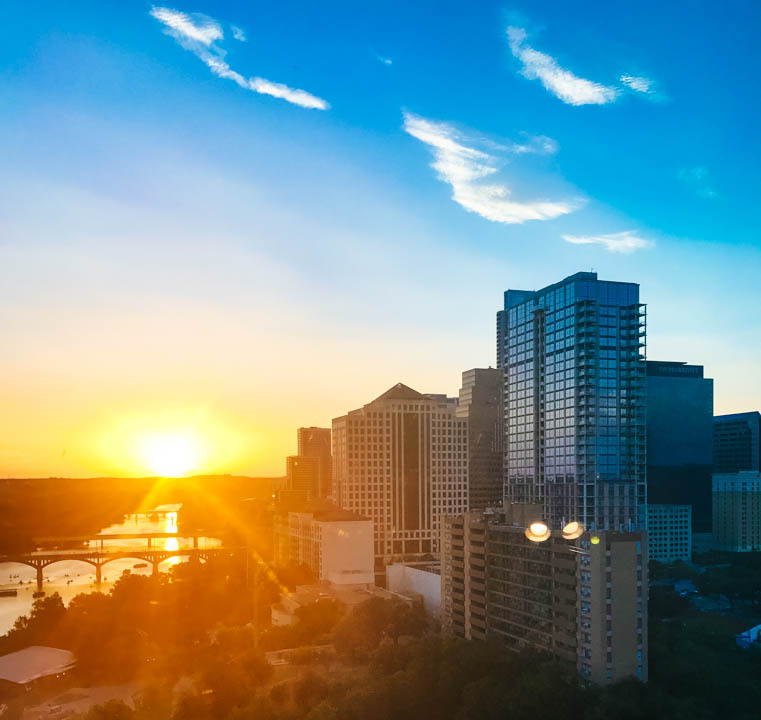 Sure, you could go watch the famous Austin bats from South Congress Bridge... OR you could watch them with a frosty beverage from the comfort of Hotel Van Zandt's pool deck. DYK - each night you'll see as many as 1.5 MILLION bats? ?